As our databases continue to expand at an exciting rate, we have decided that now is the time to further define the unique personalities of both Naxos Music Library and NML Jazz. As such, all jazz content in NML will be moved to NML Jazz over the next couple months, with the goal of having the transition completed by the end of October. This will allow us to better organize our catalog for your enjoyment and ease of use. First, the good news: The price for NML Jazz will not change through this realignment. That means more music for the same value. Also, no longer will you need to search in both sites for jazzy jams to get your students (or yourself) grooving; they will all be in one place. Second, the other good news: While this realignment does mean NML will be losing a small percentage of content, it does not mean the growth in NML is slowing down in proportion. Rather, it means that NML is better positioned for great things to come. We can't tell you a whole lot just yet, but in the next month or two we will be breaking some very exciting news that will make NML even more awesome than it already is. Seriously, we feel like parents on Christmas Eve itching to see the kids open up their presents the next morning. So stay tuned! So what exactly makes NML Jazz so amazing that it is worthy of being its own beast, rather than merely a supplement to NML? As of this writing, NML Jazz features over 85,000 tracks from around 7,500 albums, and there are more than 32,000 artists credited. With the realignment described above, these numbers will increase even further, and new albums are added every single day. For an Institutional Subscription, Contact Your Country's Representative Here. For an Individual Subscription, Click Here. 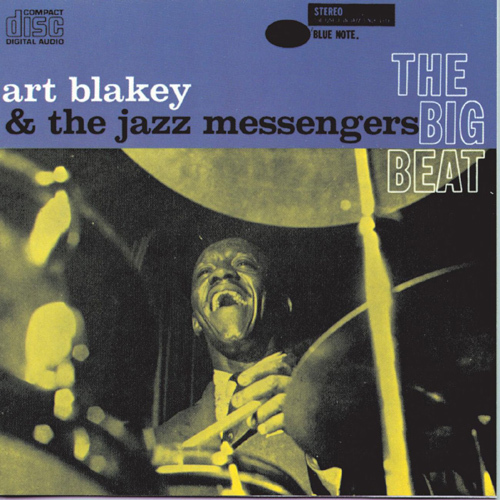 Blue Note Records – Titles from Art Blakey, Cannonball Adderley, Grant Green, Herbie Hancock, Norah Jones, Wynton Marsalis, Bobby McFerrin, Medeski Martin & Wood, Lee Morgan, Dianne Reeves, Sarah Vaughan, Cassandra Wilson, and Nancy Wilson. Fantasy Records – Titles from Albert King, Bill Evans, Booker T. & the M.G.’s, Count Basie, Dizzy Gillespie, Duke Ellington, Ella Fitzgerald, Isaac Hayes, John Coltrane, Oscar Peterson, Miles Davis, Sonny Rollins, Thelonious Monk, and the Vince Guaraldi Trio. 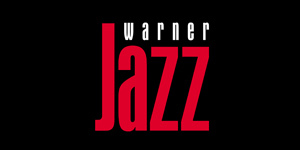 Warner Jazz & EMI – Titles from Bela Fleck and the Flecktones, Billy Cobham, Ornette Coleman, Eddie Harris, Manhattan Transfer, Herbie Mann, Charles Mingus, and The Modern Jazz Quartet. New labels are added every month, including the MaxJazz, Bethlehem Records, and Intakt Records catalogs this month; the 220+ labels currently included come from all over the world and represent all styles and periods of jazz history, from big band and swing to some of the most thrilling new voices of today. As you can well see, we are quite excited about NML Jazz, and we look forward to growing and developing it even more. I think this is a very negative move from NML. Users are not gaining - NML subscribers are losing out on some of their favorite albums, which they will have to pay extra to access again. I will be thinking hard about whether I will keep my subscription after this, and I think many people will feel the same. Thanks for your concern. Previously, in order for jazz fans to enjoy all of the content available, they would have needed to subscribe to both NML and NML Jazz to access it - even if they didn't want the classical content. The majority of the jazz content was already exclusive to NML Jazz (including the Fantasy, Blue Note, and Warner Jazz catalogs), and these changes allow for a more orderly organization of the content. Is there an official announcement about this other than here on the blog? We are an institutional subscriber and I am just now seeing this (although possibly any related email went to our Acquisitions department). Do you have a mailing list (old school, I know!)? If you let me know who to contact I can send my email address. We announced it through this blog, Facebook and Twitter (NaxosMusicLib), and in our monthly email newsletter. If you would like to receive the newsletter, you may email NMLhelp at NaxosUSA dot com, and we'll add your email to the list. Will a new set of MARC records be provided once this move is complete? We'll need to reload into our catalog, both to remove titles that moved out of NML and to add anything new that comes into NML. The lastest MARC records set I see is named "NML 2011 Update_US as of 2011_1130.mrc" with a created date of 12/06/2012. The next round of MARC records is due this fall, likely before the end of October. This new round should cover all changes and additions through October 1, 2013. We have also been working on finding ways to update the records more efficiently, so the lag time going forward should be much smaller. In response to feedback, some wording has been changed in the post for the purpose of clarification.